Today on 'On Writing' we have Adite Banerjie, who writes romances that win over your heart with ease. Adite Banerjie is a screenwriter and published author. 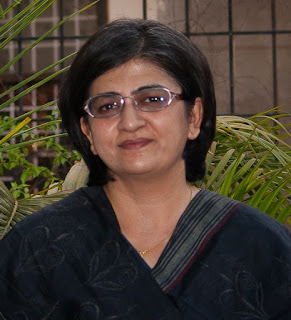 Her book 'The Indian Tycoon's marriage deal' was first among the harlequin romances by Indian authors that I read. And I absolutely loved it. Let us welcome to 'On Writing', Adite Banerjie. I have always wanted to be a writer. After I finished my graduation, I did a diploma course in journalism. That led to a long and fulfilling career as a journalist. However, novel-writing happened by accident when I shot off a short story for the Harlequin India Aspiring Authors Auditions. 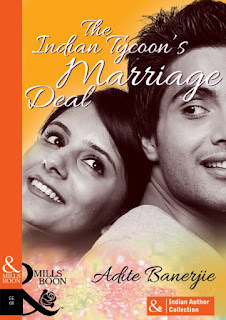 My entry was selected, which later became a full novel, titled The Indian Tycoon’s Marriage Deal. Marketing, without a doubt! 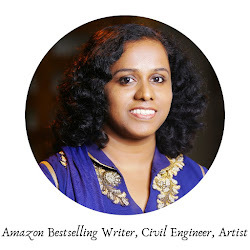 Now, with two books out (The Indian Tycoon’s Marriage Deal and Trouble Has a New Name) and the third one coming up in May 2016—a romantic suspense titled No Safe Zone—I have come to realise that it’s an integral part of the writing business. Sigh! What is ‘The Indian Tycoon’s Marriage Deal’ all about? How long did it take to complete writing it? The Indian Tycoon… is about the feisty young Maya whose quest is to bring down the man who destroyed her family. When Krish Dev, the son of her most hated enemy, proposes marriage to her, she agrees. But can she hide the truth from herself—that she is falling in love with Krish? And how will she reconcile her heart’s desire with her need for revenge? It took me about six months to write the first draft. But it went through several iterations and then the editing process kicked in. So all told, it took about eight months. I loved creating Maya’s character. She is a strong-willed, independent young woman who is determined to find justice for the wrongs done to her family. But despite the hardship she has faced in her young life, it has not made her hard and bitter. I hope I have been able to bring out her strength and her vulnerability in a convincing enough manner in the book. Maya seethed. She wished she could wipe that all-knowing look off his face. If only she didn’t feel this strong surge of attraction for him—but that was her secret to keep…just one of many. Her lips tingled at his touch even as his words held out a deep, velvety promise that made her breath catch. I have always been a plotter. I tend to outline my stories a great deal before I start writing. But during the course of writing this book and also my second one, I realized that I need to give more space for my characters to grow and be themselves. Perhaps, it makes life more difficult for me as an author but ultimately it does help the overall story and the growth of the characters. Initially, I would be devastated by bad reviews and would fret and fume—totally in private—about them. Though the general wisdom is that you should never respond to reviews, good or bad, I normally send a line of appreciation to those who give me a good review. Recently, I read a wonderful quote about reviews which said, “Bad reviews are an author’s battle scars”. And that has resonated big time with me. 3) And most importantly, never give up. Thank you, Adite! It was wonderful chatting with you. All the best for all your future endeavors. 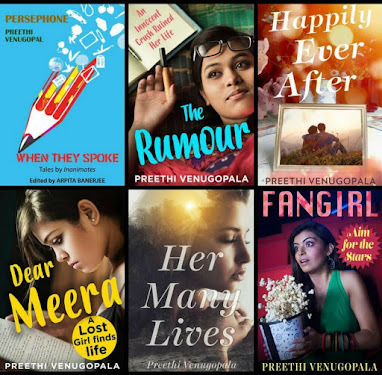 Thank you Preethi for hosting me on your blog. Happy Writing! Krish Dev needs to find a bride—and quick! With a marriage arranged by his father looming, Krish finds the key to his freedom in Maya Shome. But is this dazzling beauty really all she seems…? Maya has only one thing in mind: revenge. 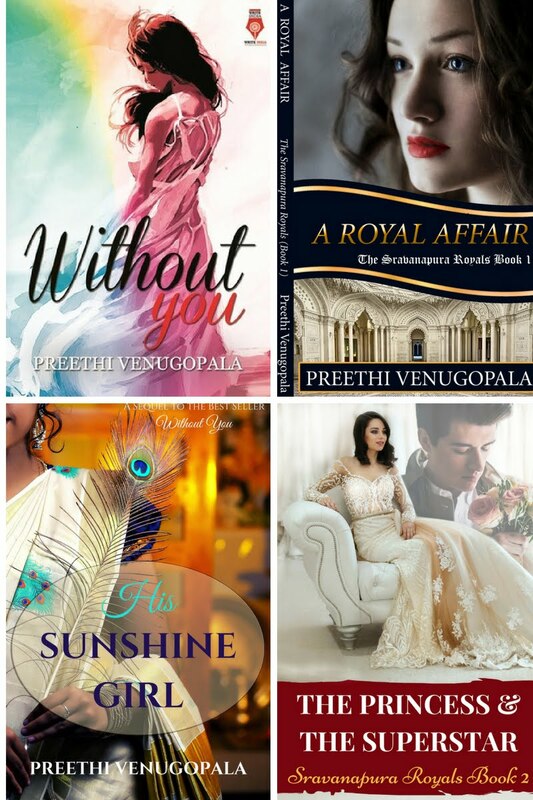 But when the host of the most exclusive high society party asks her to dance what is meant to be an innocent tango, it leads to an engagement to Krish—her enemy's son! Do buy her book folks. It is a great read. Glad to have you on 'On Writing' Adite!